In the 1996 Danish Action Plan [PDF], the government elected to designate a localized geographic area which would switch to local renewable energy sources over ten years. Soon after, Svend Auken, former Minister for the environment, vowed to reduce Denmark’s CO2 emissions by 21%. With this renewed commitment, the Danish government held a competition to select a municipality to demonstrate the latest technology, prove the effectiveness of established policies and subsidy programs, and showcase widespread public participation. Samsø Island was selected as an ideal candidate given its dependency on imported oil and coal. Mr. Hermansen, a Samsing himself, was tasked with implementing Copenhagen’s directive, and was initially met with skepticism and doubt. Just five years later, their self-funded offshore wind resources were the largest on the planet. How did they do it? Samsø is what the Danish call a “common class” community: a group of people connected by shared resources like the forest and the river. The North Island is geographically separated from the South Island and has been historically isolated due to the dense forest in the middle of the South Island. A strategy to unite the citizens of both the capital’s market center in the south and the more rural farming communities in the north was crucial to Hermansen’s success. 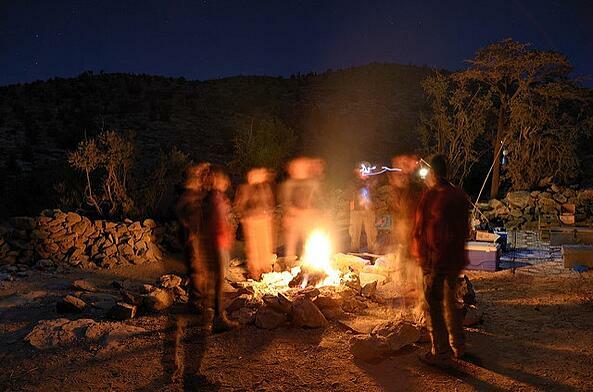 Hermansen opened the discussion of the Renewable Energy Island project by applying his vision of a group of thought leaders sitting around a campfire. He considered what methods would be most effective to bring everyone into the circle, and how best to create interactions between the diverse types of people from the north and south. To bring this ‘common class’ together, Hermansen created a ‘commonity’ (he coined the word as a portmanteau of commons and communities): citizen participants united around shared investment and ownership of renewable solutions. To generate social pressure for group buy-in, the commonity around the fire needed to find their ‘blacksmith.’ Blacksmiths are key problem solvers, change makers, and visionaries. Their innovations help the community find a way to accomplish their goals. The ‘blacksmiths’ on Samsø were committed to oil and coal heating systems, and did not see the benefits of the project. So, Hermansen enlisted engineers to demonstrate that a district heating system from biomass and wind turbine installations would provide industry with sustainable work. The ‘blacksmiths’ then understood what they stood to gain, and became eager participants in the project. In Hermansen’s commonity, the engineers did not dictate the solutions for the diverse members gathered around the fire. In his 2013 TED Talk, Hermansen said “I love [engineers] because they can do things. But, we shouldn’t let them do everything. We should have this interaction and talk about culture, and beauty, and affection, and all the other things.” Hermansen’s key to success was to engage diverse people, encourage them to invest in their future, and allow them to share in the responsibility of developing that future. That may involve embracing ideas you have opposed in the past, or considering elements like culture before technology. This lesson in community engagement for carbon neutrality serves as a valuable case study for a Vermont initiative with goals like those of Samsø’s Renewable Energy Island: the Burlington 2030 District. In April 2017, Burlington’s “2030 District” was established. 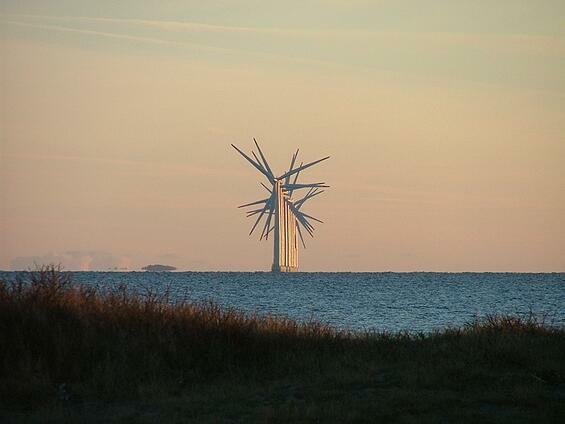 A 2030 District is, like Samsø, a limited geographic area with a carbon neutrality goal. Burlington, along with many other cities in America, is applying the 2030 Challenge for Planning and the Architecture 2030 Challenge in order to achieve ambitious energy, water and transportation CO2 emissions reductions in new and existing buildings. The 2030 Challenge sets different targets for new and existing buildings, developments, and neighborhoods. New construction in the District commencing before 2020 should achieve 70% reductions in fossil fuel energy consumption for construction and operation (below the regional average) as well as 50% reductions in building water use and CO2 emissions from transportation. The energy consumption goal ramps up from 70% to carbon neutral by 2030, growing by 10% every 5 years. Targets for existing buildings within the District include 20% reductions in fossil fuel operating energy use, water consumption, and CO2 emissions from transportation. These targets increase by 15% every 5 years to target reductions of 50% in 2030. For an ambitious project like this to succeed, a deep consideration of Hermansen’s ‘commonity’ approach would be worthwhile. To synthesize diverse ideas from a variety of community types in the area, the District must also offer a platform for discussions related to culture, beauty, and ownership. To motivate the ‘blacksmiths’ in Vermont, the creation of the Burlington 2030 District must show them what they have to gain. For everyone to gather around the fire, the District will need to share its warmth and light with everyone.